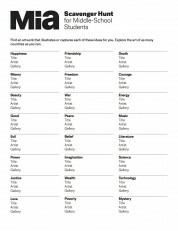 Please be sure to provide students with writing surfaces and pencils. 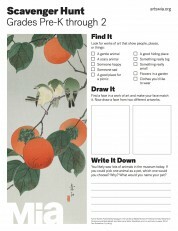 Using walls and display cases for writing is not permitted. 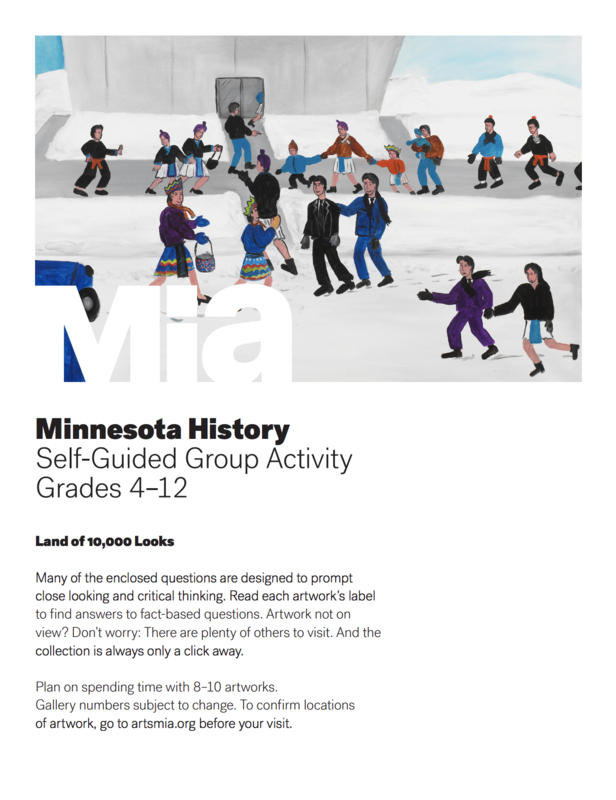 These scavenger hunts are for use by individual students within groups visiting the museum with a teacher or other adult chaperone. 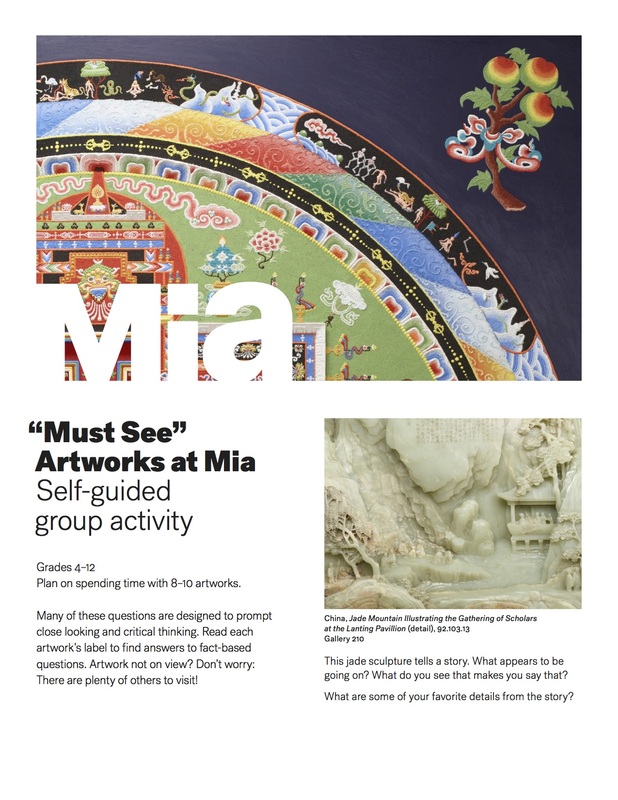 We look forward to seeing you and your students at Mia! 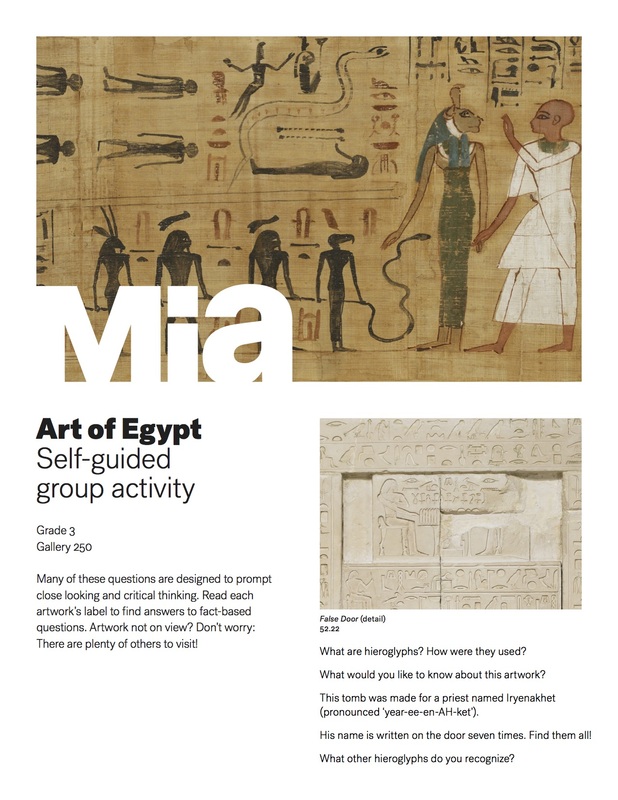 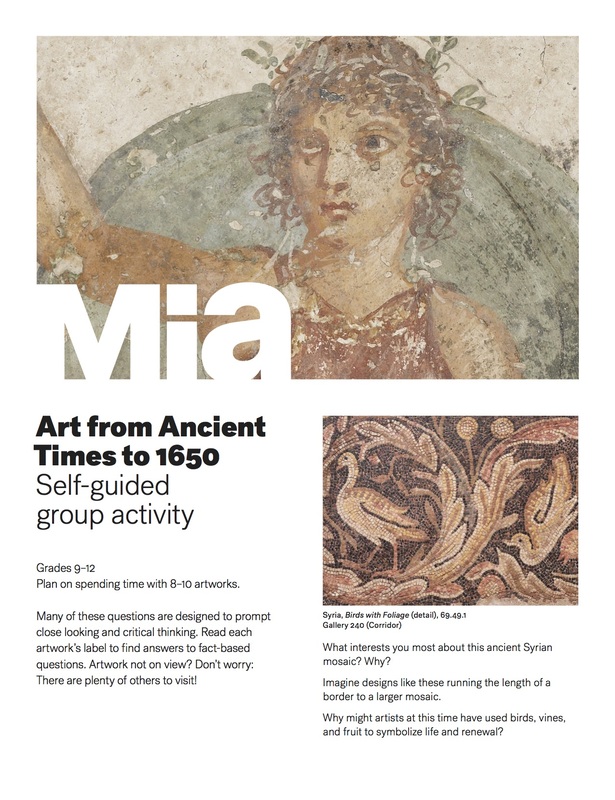 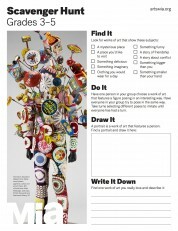 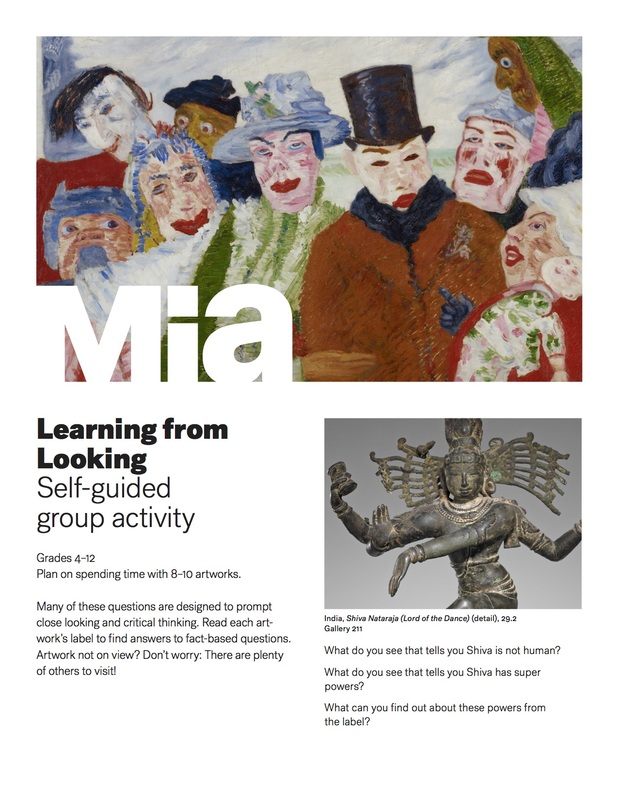 Browse our collection of activity worksheets designed to support learning at the museum. 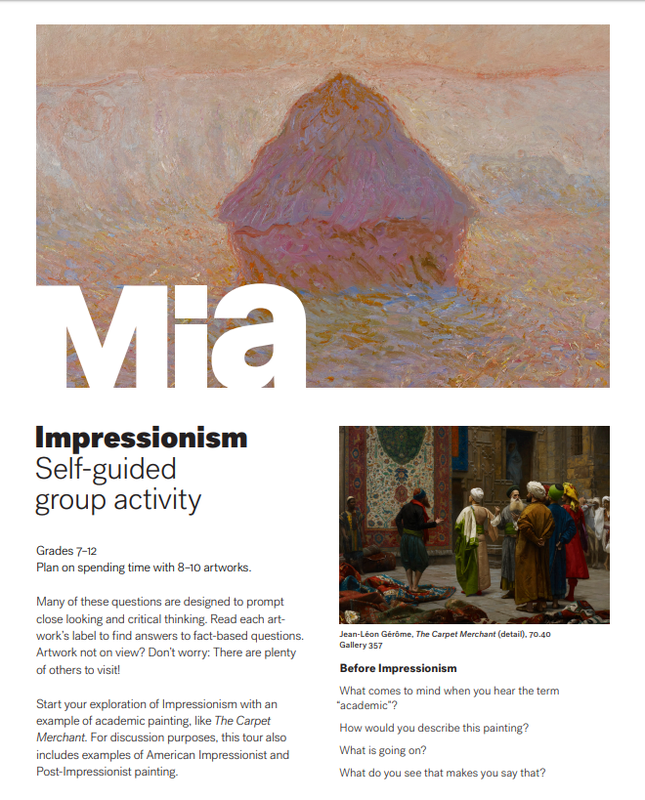 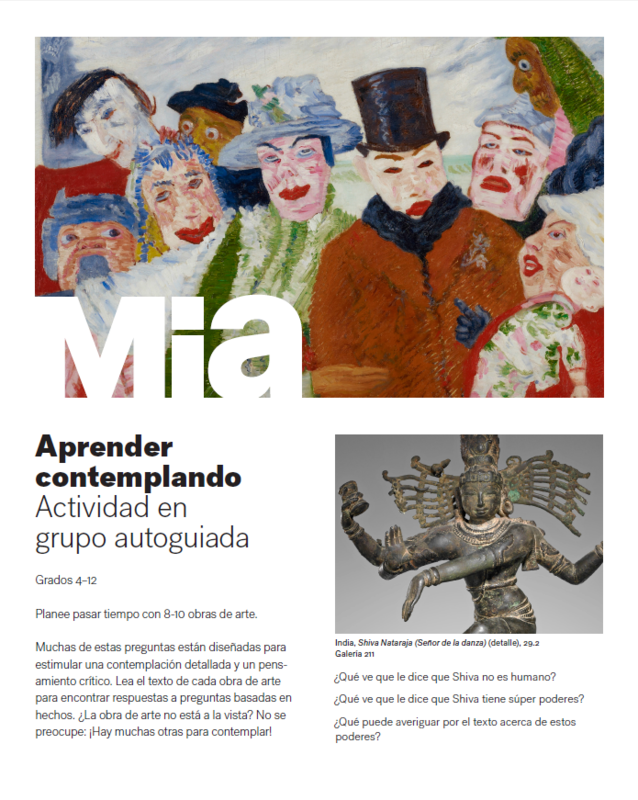 Choose from activities that enhance writing, studying the visual elements and principles, or gaining deeper understanding of art styles, movements, practices and collection areas while in the galleries. 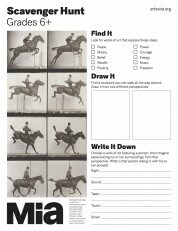 What Does Photography Say to You?